For one, don’t take hair damage lightly. 1. Don't even think about bleaching your hair. Chances are, it's the constant bleaching and coloring that ruined your hair. Constantly exposing your hair to these chemicals will dry out and damage your locks, and even salon experts say so. Ideally, you should take breaks in between dye jobs and let your hair breathe and grow naturally. But if you really need to get your hair colored, ask for hair dyes that are ammonia-free to minimize the damage it will leave. 2. Don't use hot tools for a while. When you regularly use hot tools, you subject your hair to high heat. Constantly exposing your hair to high temperatures dehydrates your strands and leaves them dry and brittle. So while your bouncy curls may look pretty on photos, the damage it leaves on your locks isn't worth. 3. Don't take hot showers. Taking long hot showers may be relaxing after a long tiring day, but the heat can dry out your skin and scalp, stripping away natural oils. Regulate your shower's temperature, and opt for quick lukewarm baths instead. 4. Don't take hair damage lightly. It's not enough that you know your hair is damaged—you have to take action to tame it, too. 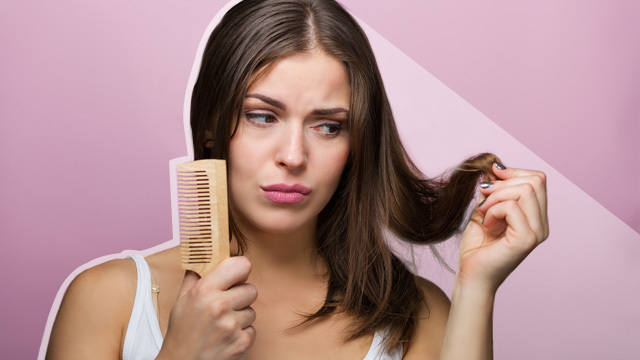 Once you notice signs like dryness, dullness, frizz, and split ends, reevaluate your hair care routine and start doing damage control, stat! It's not enough that you cleanse your hair regularly with your favorite shampoo—that won't repair and moisturize your locks. 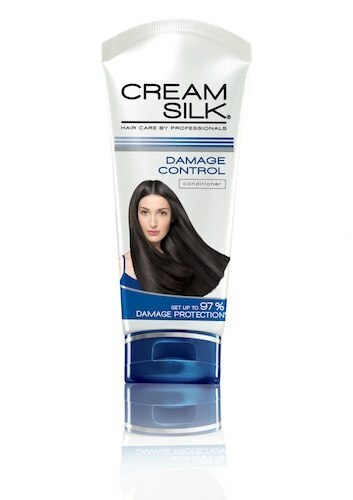 Use a conditioner that will strengthen your weak hair like Cream Silk Damage Control, which offers up to 97% damage protection after just the first wash.
Singer Julie Ann San Jose swears by this nourishing conditioner as it protects her locks from getting limp and dry from all the styling she has to go through every day. 6. Do go for regular trims at the salon. Restore your hair's health by getting regular trims by your go-to hairstylist. The ends of the hair tend to be drier and weaker than the rest, so chop them off. If you're not ready for a blunt cut, you can also do soft layers. Getting regular trims is also the best way to avoid split ends. If you're set on restoring your hair, be consistent in your hair care routine. Set a schedule for shampooing, deep conditioning, and trims. Following this schedule will surely bring back your hair's luster. 8. Do take extra care when swimming or going to the beach. While we're lucky to be in a country where it is perfectly acceptable to go swimming in pools or at the beach pretty much all year round, it's important that we also do our part to ensure that our locks don't suffer from water activities. Heat, chlorine, and sea salt are just some of the things that can weaken damaged hair even more. Make sure to shampoo and condition your hair immediately after swimming. When lounging by the beach, wear hats and caps to protect your hair and scalp from heat as well. 9. Do eat for your hair. Speed up restoring your hair by eating healthy. Eat more fruits and vegetables and protein-rich food for faster results. Cream Silk is available in stores nationwide and on Lazada. Follow Cream Silk on Facebook for more hair tips!